MK Chetboun boasts of 'tricks' and 'games' that made law drafting hareidim 'completely different' from what was intended. 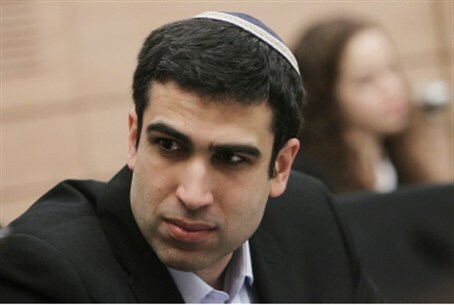 MK Yoni Chetboun (Jewish Home) said Monday that he and other MKs with similar religious views have made “holes” in the bill intended for drafting hareidi men into the IDF. Speaking to Galei Yisrael radio, Chetboun revealed that the bill was changed in parliamentary work behind the scenes. “Most of my games – and I can talk freely now, since we have passed the committees – most of the influence that I and other MKs that share my outlook had, was exerted in the committees. "A year ago, when we started the Coalition and the process with Yesh Atid... what they were hoping for and the product we brought to the Shaked Committee were completely different,” he added. MK Chetboun belongs to the religious stream often referred to as “hareidi-Zionist.” Members of the stream are as strict in their religious observance as the non-Zionist hareidim, yet view the state of Israel as sacred and take part in all aspects of Israeli civilian life. The Jewish Home has come under intense, sometimes shrill criticism from hareidi circles for cooperating with secularist Yesh Atid on the bill for drafting hareidi men. MK Chetboun's statement appears to be an attempt to counter this criticism by showing that he has remained loyal to the hareidi world, by taking the punch out of the law drafting hareidim.